Not quite in haste, but as travels loom some quick notes on two beers that to my mind sum up the best of the old and new schools of brewing. 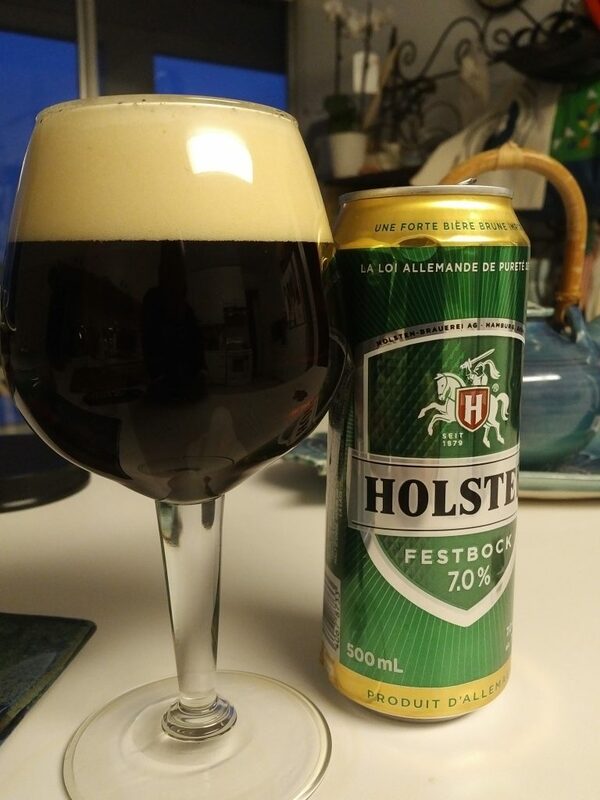 They are, Holsten Festbock, a dark brown bock at 7% ABV, and Hopsta La Vista, a 6.5% ABV from Longslice Brewing in Toronto. The first shines with its rich malt character, molasses-like even though the beer is pure malt and hops. Holsten is based in Hamburg since 1879 and part of Carlsberg today. Hamburg is hardly a storied centre of bock brewing, that province belongs to the south, Bavaria. But Holsten’s is one of the best I’ve had anywhere, and recalls surely too a time when all beers were maltier. One or two beer types apart, e.g., Lambic/sours, 19th-century IPA, perhaps unblended aged porter, all beers were once maltier. Just as the late Canadian-American beer legend Bert Grant once stated that all beers used to be hoppier, they also used to be maltier. The two traits together made beer to all intents and purposes what it was. Today, many beers still meet the bill, especially under conditions of the beer revival, but they are not always easy to find. The adjunct/light/dry/ice waves in brewing internationally, say from the 1950s-1990s, had their impact on craft brewing, too. Hop character was brought back (frequently) by craft brewing but malt character is sometimes neglected despite frequent use of all-malt mashes. One reason is attenuations, or the degree to which fermentation is allowed to proceed, are often still too thorough, for our taste that is. 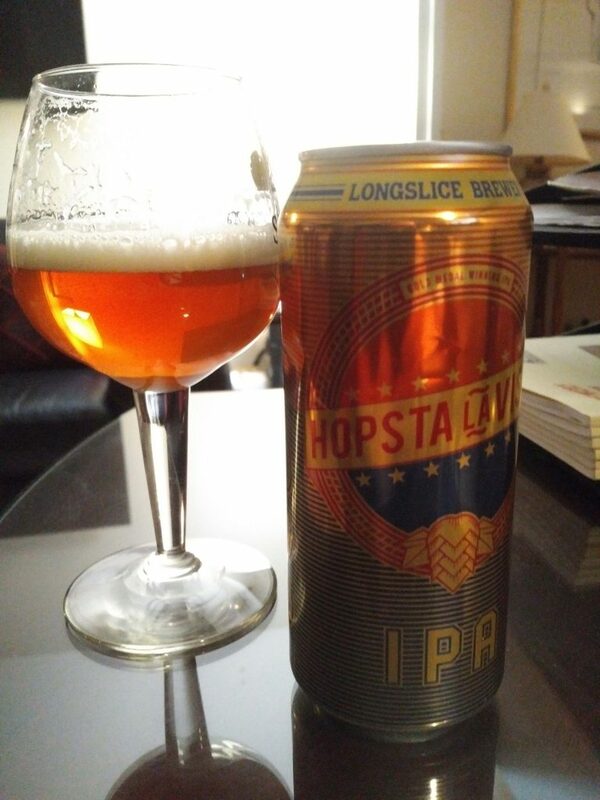 Hopsta la Vista, a craft IPA, offers a pleasing rich clean malt character, almost shortbread-like. And the big hop character is a given. It’s also a reliable beer, changing little since inception some years ago. The two are a yin and yang as despite being opposites historically and commercially they are in perfect synch as representing the best the beer world can offer. I understand the Holsten is only flash-pasteurized today, which brings its character more in line with craft. Craft or artisan beer generally skips any form of pasteurization, a process many consider has some impact on beer character. There is a wealth of good beer to choose from today, and you will rarely go wrong dipping into the craft world – there is very little bad beer, as opposed, say to 25 years ago. But choosing well offers the best chance of a great experience. A local IPA I’d class with Hopsta is Boneshaker IPA from Amsterdam Brewery. Its honeyed-like malt quality offers again a taste of old-time beer, malt that enriches and gladdens both fibre and soul.